To see other make ahead options, go here. Oven to 450 degrees . Cut pork into 2- to 3-inch chunks and discard excess fat. This may take a while...I had no idea how fatty pork is! Finely chop garlic and zest the lemons. Place all of the pork in a large roasting pan. Sprinkle with the garlic, lemon zest, 1 tbsp. salt and 1 1/2 tsp. pepper. Toss well, massaging the garlic and zest into the meat. Tightly cover the pan with foil. Continue roasting the pork until nicely tender, about 1 hour 45 minutes. 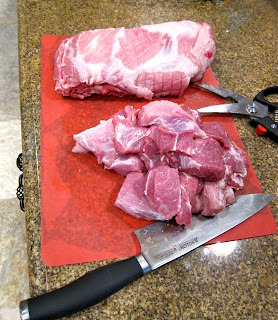 Let the pork cool for at least 15 minutes, then, using 2 forks, shred it a few pieces at a time. 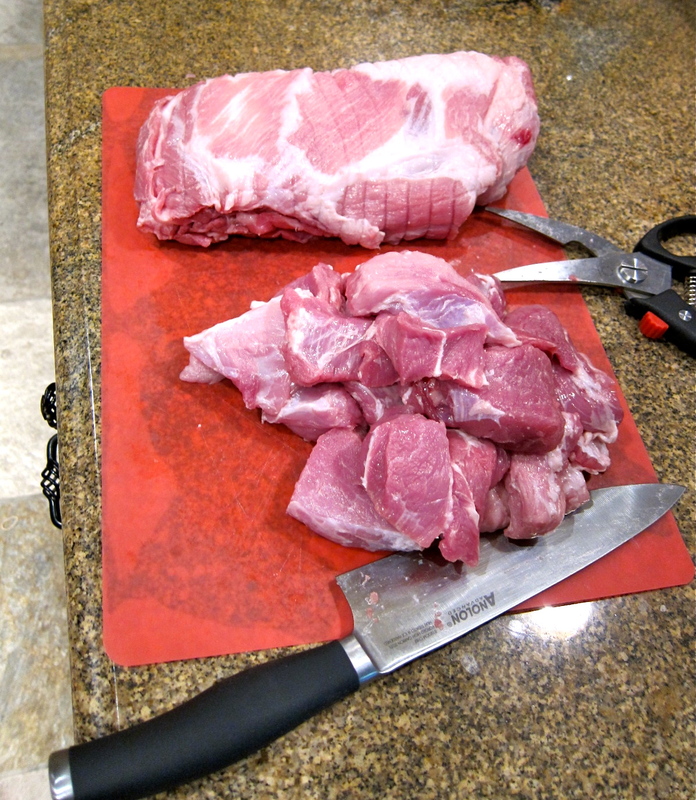 Divide the pork into 1-cup portions and transfer to resealable plastic sandwich bags. 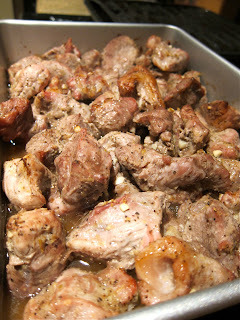 Pour a little pork juice into each, squeeze out the air and flatten. Seal and store flat in 2-gallon freezer bags. When you're ready to used the pork, thaw at room temperature for about 1 hour, or pop into the fridge in the morning and let thaw all day.